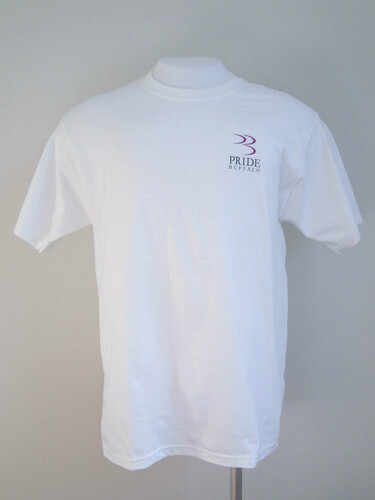 White shirt with Budapest Pride. 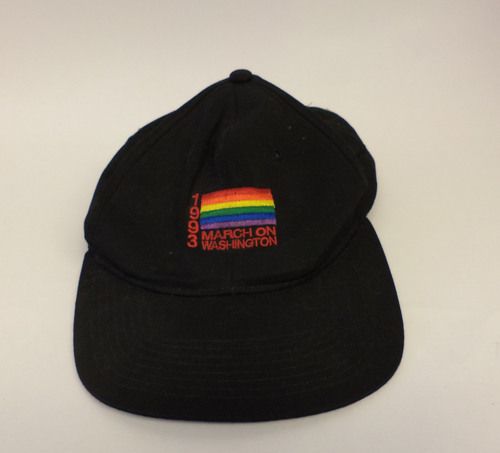 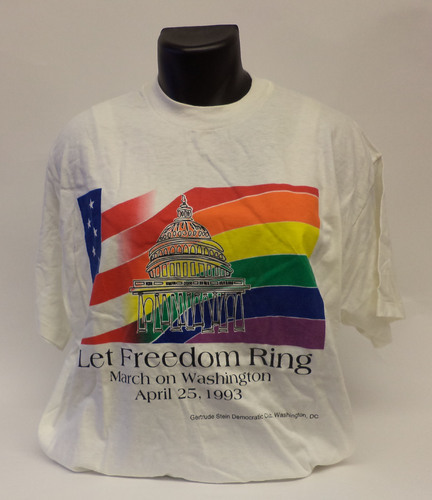 Damaged during gay liberation march. 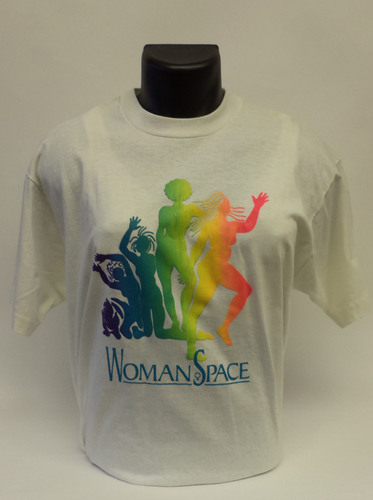 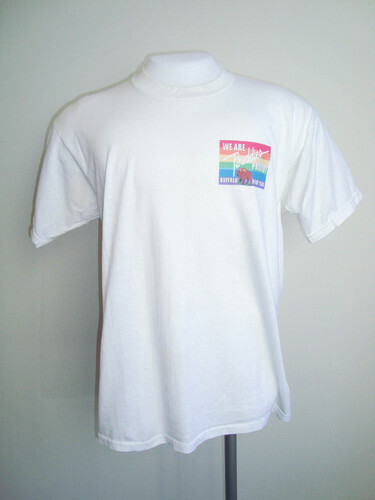 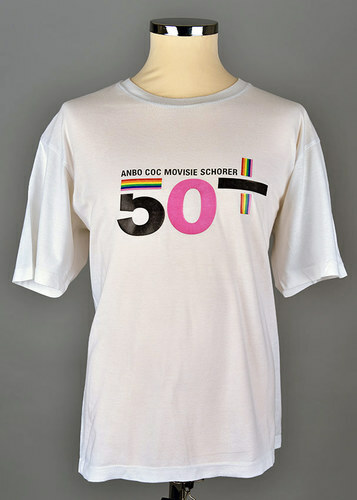 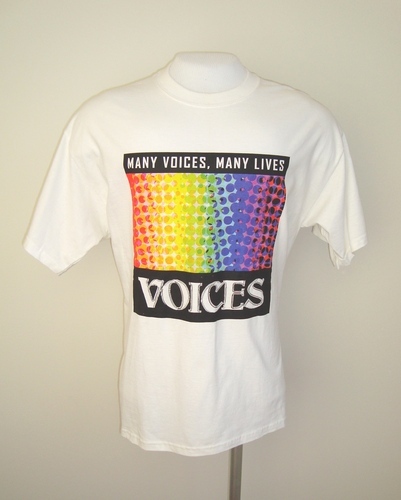 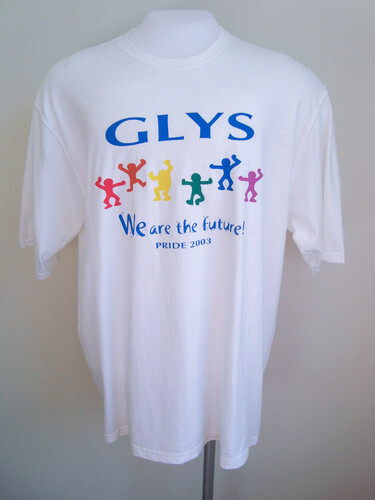 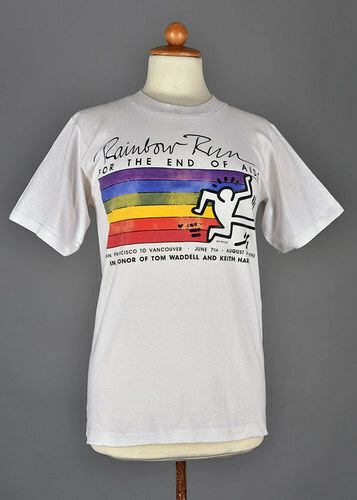 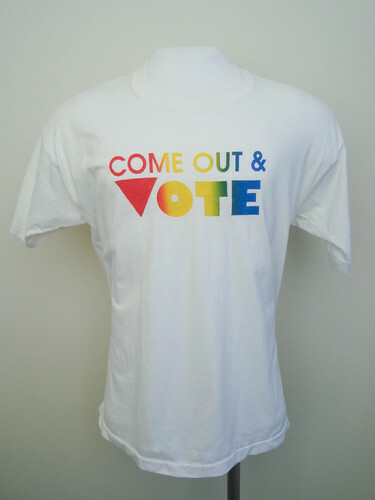 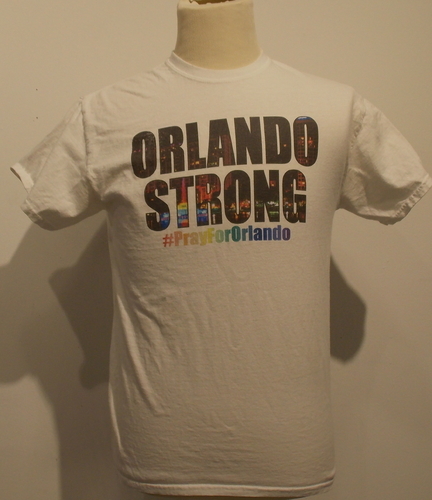 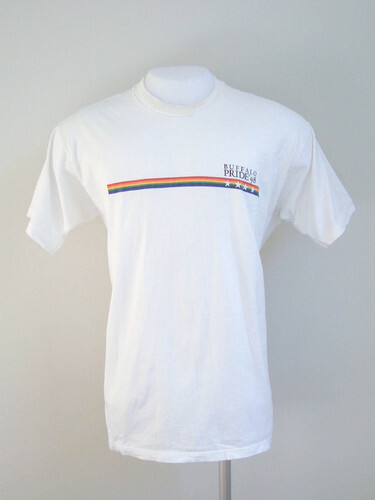 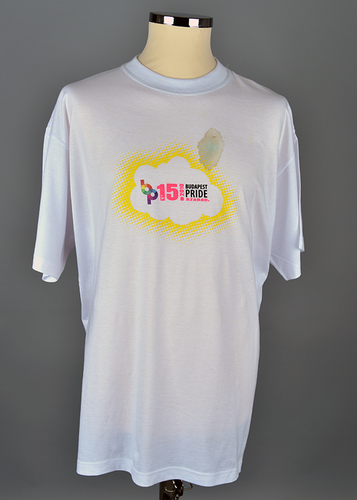 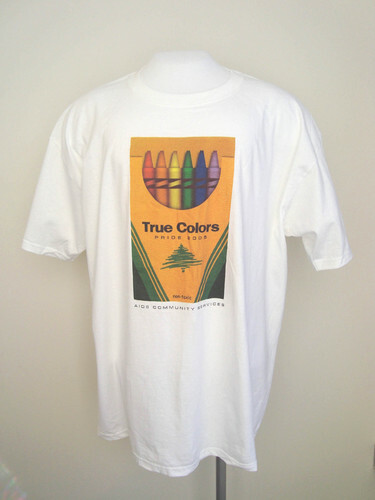 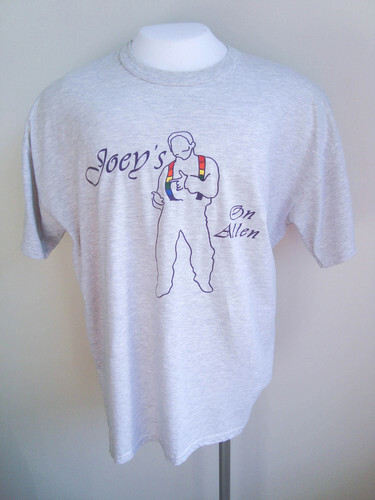 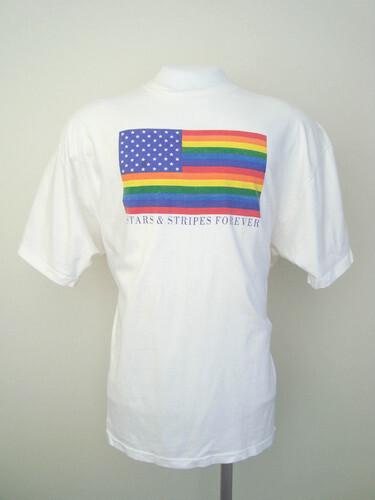 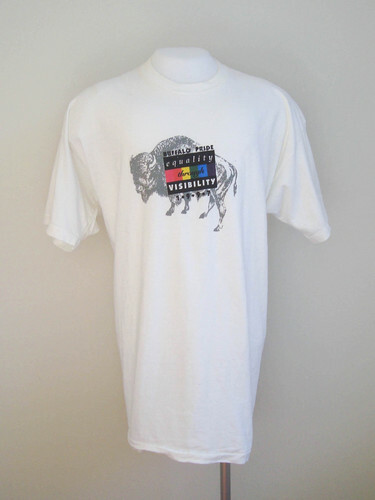 White t-shirt with rainbow flag plus running figure, and text: Rainbow run for the end of AIDS. 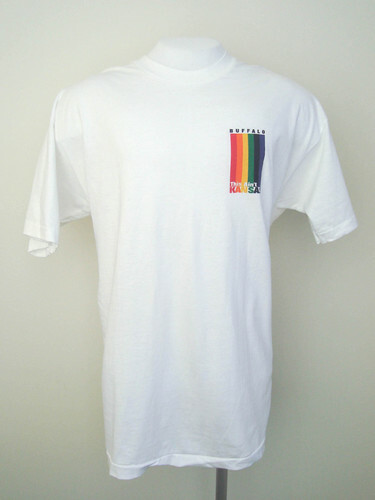 San Francisco to Vancouver June 7th - August 4th 1990. 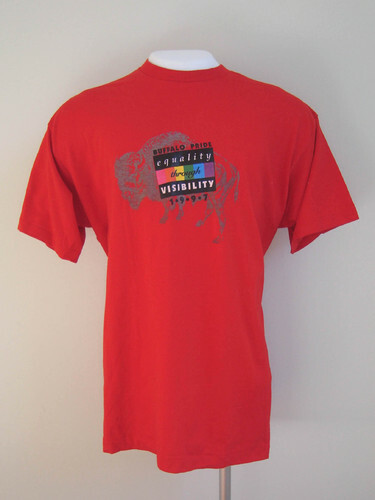 Pink t-shirt with picture of a woman's face and the text: "you are included, coming out week Suriname 2016". 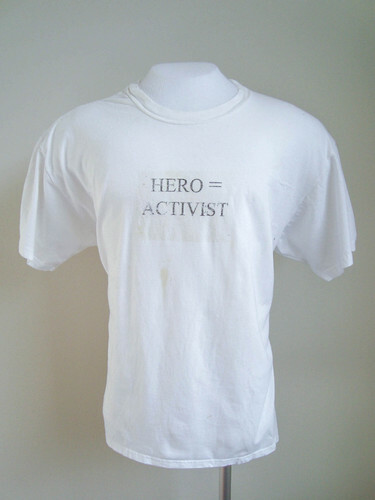 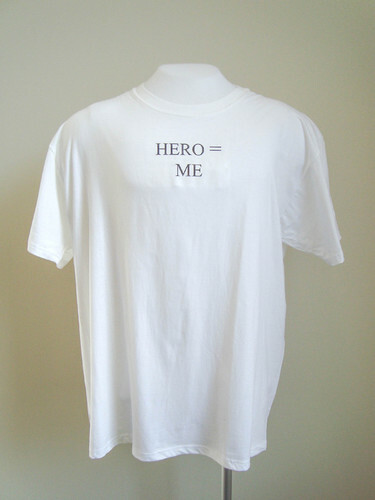 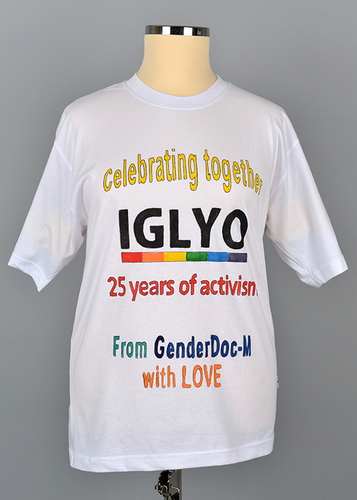 White t-shirt with handmade print "celebrating together IGLYO 25 years of activism From GenderDo-M with Love". 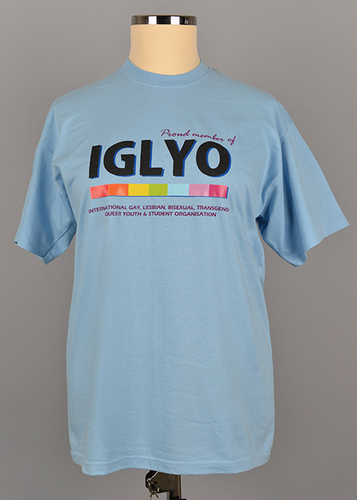 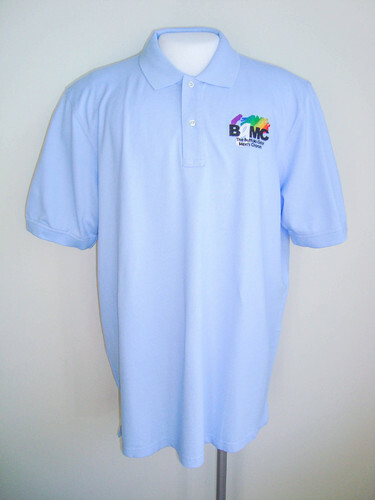 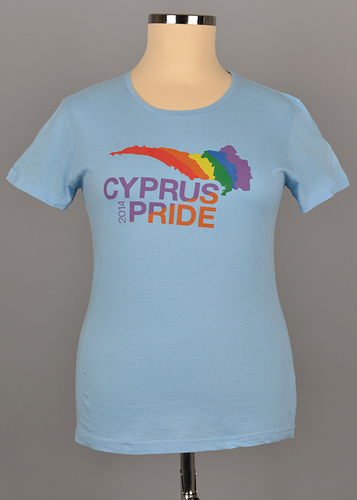 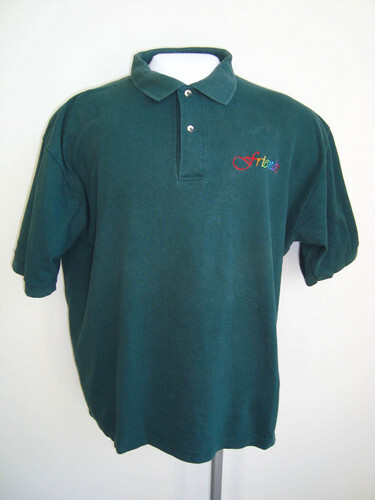 Lightblue t-shirt with the word: proud member of IGLYO. 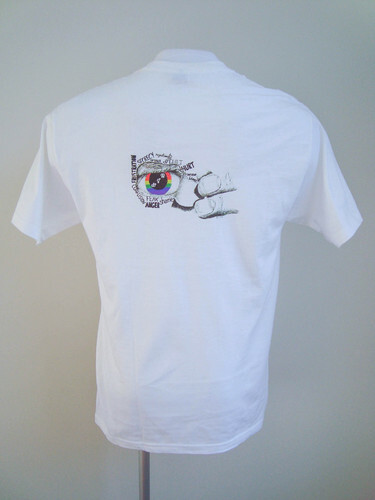 On backside: ""You must be the change you want to see in the world" M. Ghandi". 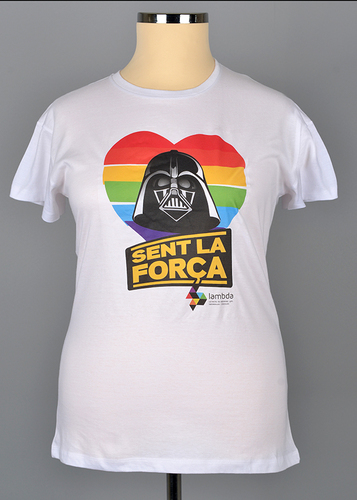 White t-shirt "Sent la forca" with image of Darth Vader of Star Wars in rainbow heart. 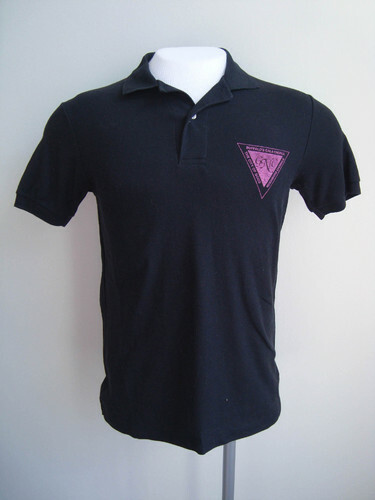 Signed with the logo of lambda. 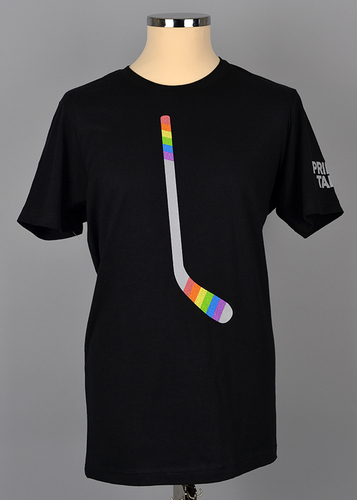 Black t-shirt with pride tape around hockey stick. 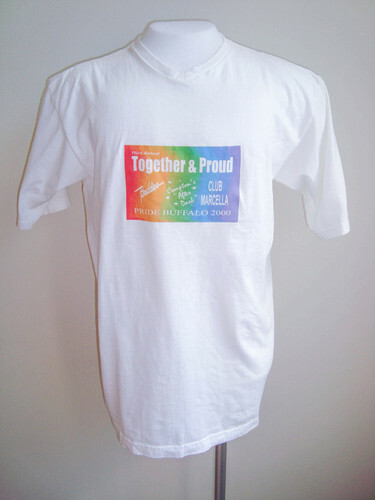 Pride tape is an initiative for gay empowerment in ice hockey.